Portable energy-saving lighting designed to provide efficient, effective illumination for task lighting. 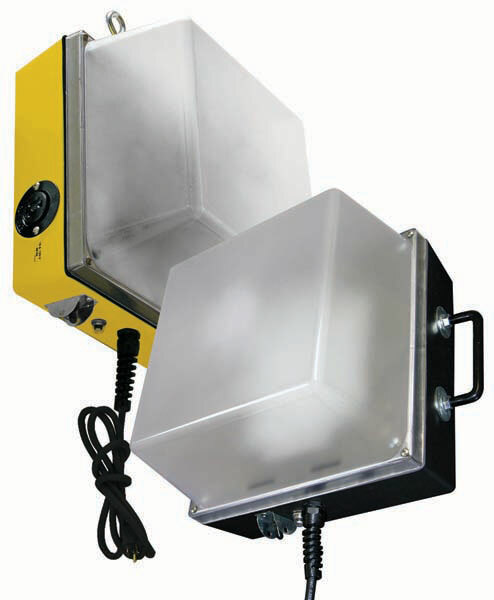 These worklights are built to withstand abuse from environmental elements as well as give dependable, reliable service. Ideal for rough service, heavy-duty work. Rustproof. Non-conductive. Ideal for rough service, heavy-duty work. Lens and housing constructed of impact resistant polycarbonate. Molded-in color – black, safety yellow, bronze or white. Lens and housing carry a Lifetime Warranty against breakage. 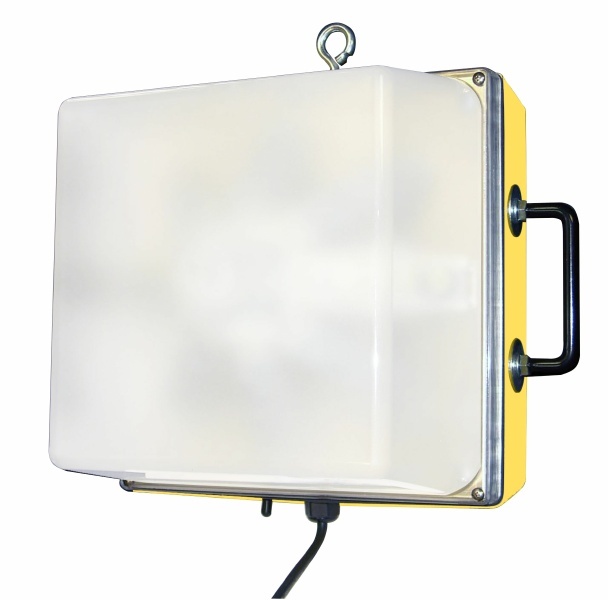 Compact hands-free worklight for maintenance and workshop jobs requiring close proximity illumination. LED or Fluorescent light sources. Standard 120V. 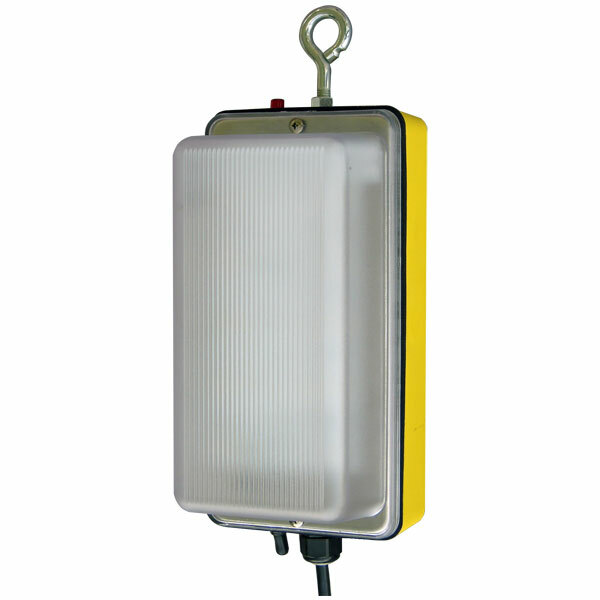 Compact hands-free worklight for maintenance and workshop jobs requiring close proximity illumination with the potential of losing power. LED lamp source. Standard 120VAC with Backup Battery Pack. 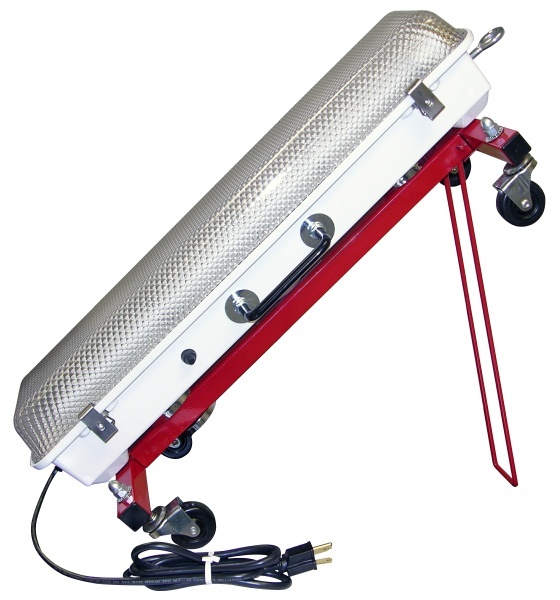 Portable worklight for fleet-maintenance or workshop jobs with an optional wheeled cart or protective lens cage. LED or Fluorescent light sources. Standard 120V. Weight (Model 100): 9.5 to 11.5 lbs. Weight (Model 200): 18.0 to 23.0 lbs. 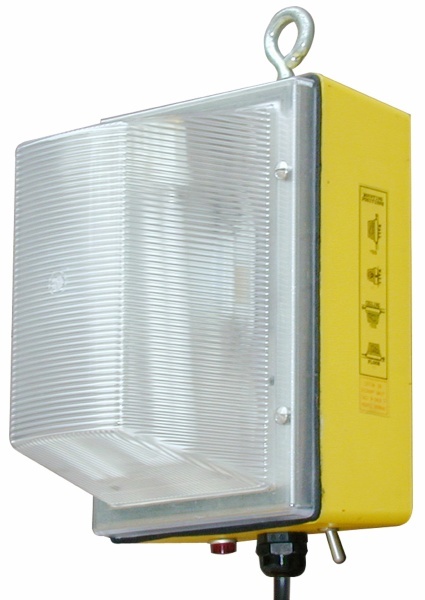 Heavy-duty maintenance and assembly worklight. LED or HID light sources. Standard 120V. Rough service heavy-duty maintenance and assembly worklight with supplemental Battery Backup for illumination where there is a potential of losing power. LED light source. Standard 120VAC with Battery Backup Pack. Fluorescent, Metal Halide, High Pressure Sodium or Incandescent light sources. Standard 120V. HID: 9-1/4”(L) x 6-1/4”(W) x 7-3/4”(D) / 7-1/2 lbs. Incandescent: 9-1/4”(L) x 6-1/4”(W) x 6-3/8”(D) / 4 lbs. Small portable spotlight for automotive, marine, law enforcement jobs, utility and other maintenance tasks and in recreational pursuits. Standard 12V DC plug.